Making media companies and SMB’s relevant to their local communities through email marketing, first party data collection and application. It all starts with a strategy to build and continually grow your first party database. We'll create the plan, walking you through what to ask, when to ask it and how to incentivize your audience to provide the information—and permission—that allows you to connect. Find the connection points within your database. We'll show you how to identify the insights and stories that drive audience engagement. Serve up relevant content, targeted emails and compelling campaigns, while creating new channels for monetization. Does it sometimes seem like advertisers understand the value of your database more than your own sales staff? We'll train your team to drive leads, create meaningful metrics and gain happy customers, from the data you have and the data you can get. Builds Databases: We've helped myriads of media companies through multiple stages of database development: Starting fresh, breathing new life into old lists or discovering the silo'd data hidden within an organization. Your result is a vibrant database. Builds Belief: Your people need to understand the value data brings to your company, their department, themselves. We're the realists and the evangelists who make data relevant throughout your business. Your result is a self-sustaining discipline around data development. Transforms your databases into connections: between you and your audience, between your audience and your advertisers. Strengthens your messaging: Compelling email campaigns, increased open rates, higher click throughs and less unsubscribes. 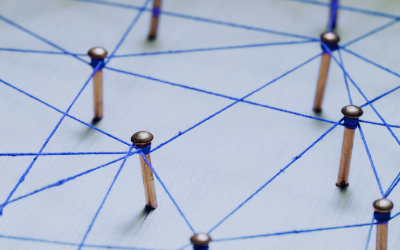 Connects with strategic campaigns: Creative, lucrative and engaging ideas, designed to delight users and uncover ever more data points. Enhances your brand. Creates value for both you and your audiences. Turns Your Sellers Into Believers: A vibrant database should be a lucrative one, too. You know it, but sometimes the sales staff doesn't. We'll show your AEs where the value is in the data, how weaving data into their daily sales conversations and presentations will pay off for them. And even more so for you. Turns Data Into Dollars: At the end of the day, it's all about the revenue you can generate from the data you've collected. We have decades of experience doing just that. PIR consults local media companies and SMB’s intent on collecting, analyzing and monetizing first party data to create stronger consumer and advertiser relationships. We apply our expertise to data initiatives in sales, marketing and technology, resulting in more effective and lucrative databases, higher user engagement and smarter email marketing.